Hi! 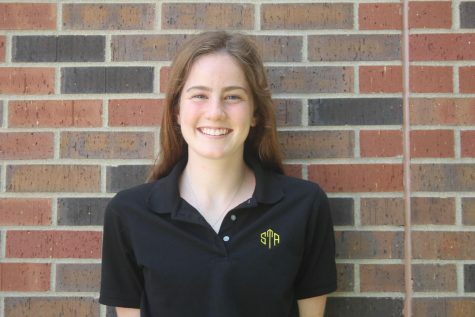 I’m Gabby Staker, a senior writing and page designing through my third year on the Dart. It’s crazy! And this time, Julia, Margaux and I are co-editors-in-chief!! For as long as I can remember, I have loved words. When I was a preschooler, my mom used to take me to the library to “read” to therapy dogs. As a second grader, I sent letters to D.C., sure that my simple speech could reason with the president of the United States. During grade school, I loved competing in Battle of the Books. Now I find myself interviewing, writing and playing in InDesign. When I’m not working on things for the Dart and DartNewsOnline, you can usually find me hanging out with my four younger siblings, trying to ride horses, playing with my friends’ dogs, grabbing a hot chocolate at the Roasterie, or running (late). I’m super excited to pursue journalism and give a voice to the things which need to be heard- so, basically, more words! !